I'm attempting my goal of one new book a month for 2018, the same goal I gave myself in 2017. I mentioned in my newest yearly to do list that I considered increasing the number of books to two new books a month, but I had an inkling that I would accidentally intimidate myself by increasing the number. So, to avoid that, my goal is still one new book a month. However, even with that goal in 2017, I still managed to read 28 books, so I have hope that 2018 will have a similar pattern if I'm lucky. When it comes to choosing what I want to read for the year, a lot goes into my list. I'm absolutely kidding. I don't scour best selling book lists or spend hours upon hours searching the internet for books. Instead, I really on the lovely people I follow on social media to steer in me in the right direction. I have a bad habit of stalking my friends' Goodreads accounts and looking at the books that my favorite magazines feature. I don't really go out of my way to find books. Instead, I sort of keep my eyes open and keep track of what I want to read on a note on my phone. Hell, sometimes I choose books at random when I'm in the library, finding summaries that sound interesting and covers that are bright and punchy. I like pretty things, what can I say? And as for other places, I see what Amazon is recommending me since I've purchased quite a few books on there recently. I also found a few in some recent bookish videos I've watched, like Estee Lalonde's 15 Books I Read In 2017 video as well as Austen Tosone's The Best Books I Read In 2017 video. So...yeah! Without further ado, here's what I would like to read in 2018 as of right now. If you're curious to see what I wanted to read in 2017, you can check that post out. And if you haven't seen what I did end up reading last year, you can check out those 28 books too. I feel like that should be enough to give me a little inspiration for 2018. What books do you want to read in the new year? I loved The Royal We! The writing quality isn't the best, but it's still okay and the content is super good. I couldn't put it down! I bought this book back in September and I cannot believe I haven't read it yet, ugh. Soon hopefully! That's what I've heard too, so I'm v excited to not be able to put it down! 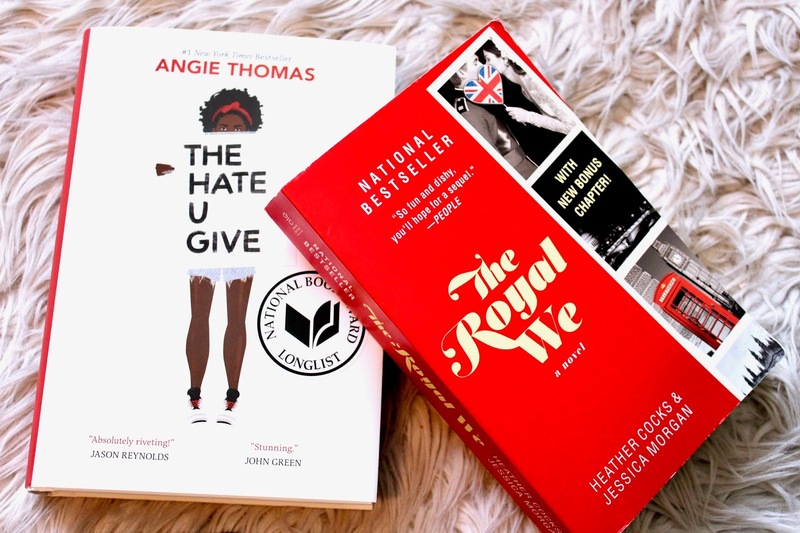 Ahh I've been wanting to read "The Hate U Give" - it looks so good! I have heard only good things about so I can't wait to dive in, hopefully soon!